So the next Xbox is getting revealed in a big event at 10am PST on May 21. Should be very exciting to see what Microsoft has in store. I'll get an article posted on it once all the information is revealed, and this thread will be used for everyone to talk about it and share any information. Or speculate, depending on what all MS shows. Anything particularly interesting people are wanting in the next Xbox? Called the Xbox One, it's due to arrive later this year at an undetermined date for an undisclosed price. For starters, it has an eight-core CPU, 8GB of RAM (likely DDR3), a 500GB HDD, a Blu-ray drive, 802.11n WiFi with WiFi Direct, HDMI in/out, and USB 3.0. The CPU is of the 64-bit variety, although exact specifications are lacking at this time. The Blu-ray drive looks to be of the slot loading type, so no more disc tray that needs to take up more space. The Xbox One is, well, rather large in size, as is the new controller. Like I said before, it resembles the current X360 one, but with some refinements. The Xbox jewel in the middle is moved up top, vibration sensors are built right into the triggers, the D-pad has been reworked to hopefully remove frustrations, and the battery compartment is flush with the body. If you're wondering how the Xbox One's PC architecture will handle current Xbox 360 games, well, it won't. The Xbox 360 is based on PowerPC and that means games built for it, including Xbox Live Arcade games, won't be able to make the transition to the Xbox One. No backwards compatibility may be an issue for some people, but Microsoft isn't concerned about that as it still plans to support the 360 with new games and apps. Your Xbox Live Gamertag and Gamerscore are going to transfer over to the new system, however, so at least there is that. To see if it's a gaming console with some media features which are hopefully optional, no ads etc. 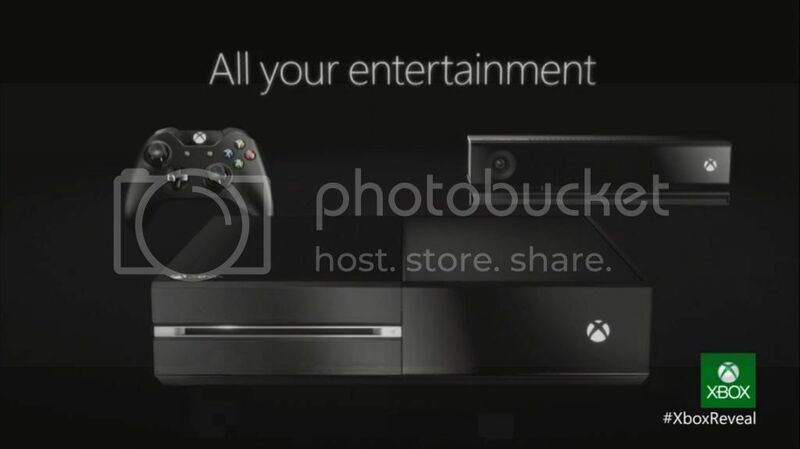 If it's a media box with gaming capabilities then meh, hope it flops like the Windows tablets. Some exclusives will probably be Forza 5 and that Kinect game from Crytek, Ryse. Hopefully EA doesn't go and be like "yeah, any piece of DLC for any game we make is exclusive to the new Xbox for a month after launch." Although that's kind of happened with the current consoles. That controller looks huge! 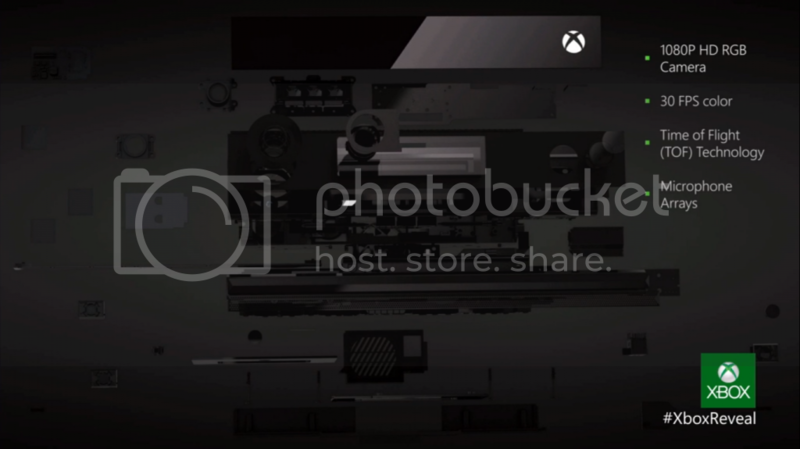 Kinect looks interesting this time round though. Going from 360 to One...yeah, makes perfect sense! Focus: PS4 - Sony's focus during the unveil was clearly games - big game reveals, Gaikai, Remote Play for Vita with all PS4 games. 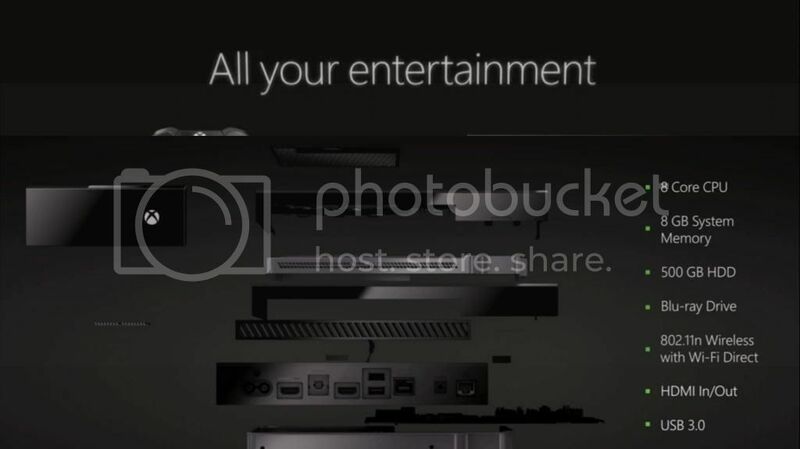 MS's focus (so far) is on non-gaming entertainment. MS has some catching up to do in the TBD categories. Plus I don't play sports games. Games aren't meant to include exercise.